In the last fifteen years we witnessed a new ethnographic wave of studies that focused on practising architecture. 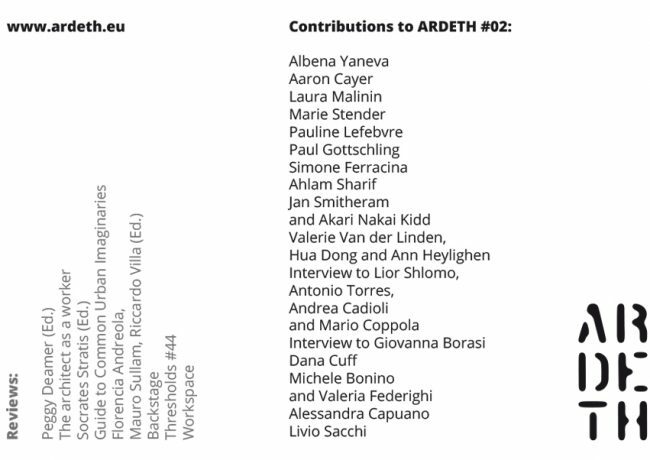 This body of research aimed at grasping the socio-material dimension of architectural practice. They all relied on the assumption that architecture is collective but it is shared with a variety of nonhumans. These “new ethnographies” generated “thick descriptions” of the knowledge practices of different participants in design. 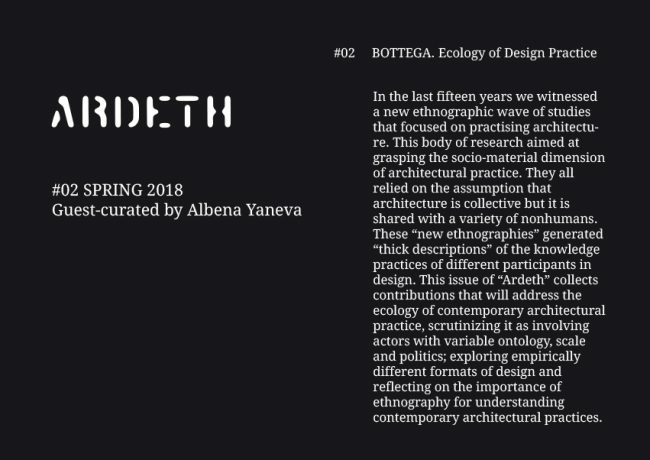 This issue of “Ardeth” collects contributions that will address the ecology of contemporary architectural practice, scrutinizing it as involving actors with variable ontology, scale and politics; exploring empirically different formats of design and reflecting on the importance of ethnography for understanding contemporary architectural practices.